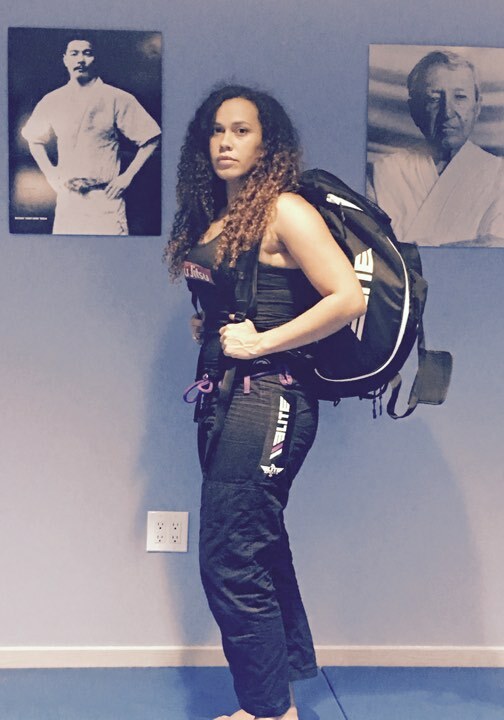 This is a versatile bag. 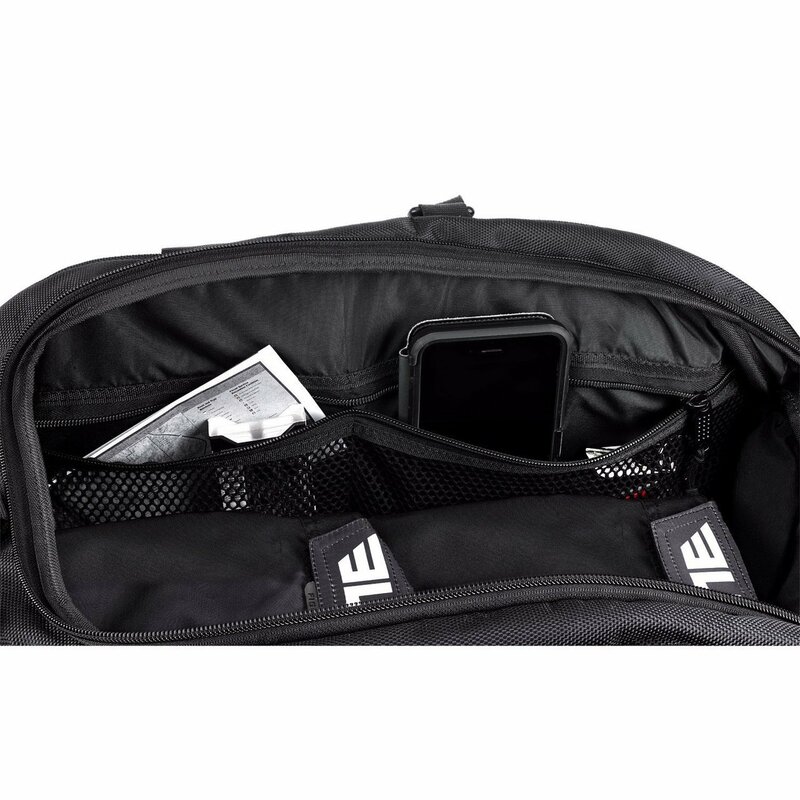 It can easily convert from a duffel back to a backpack with simple detachable straps and internal extenders to adjust size. Dimensions. 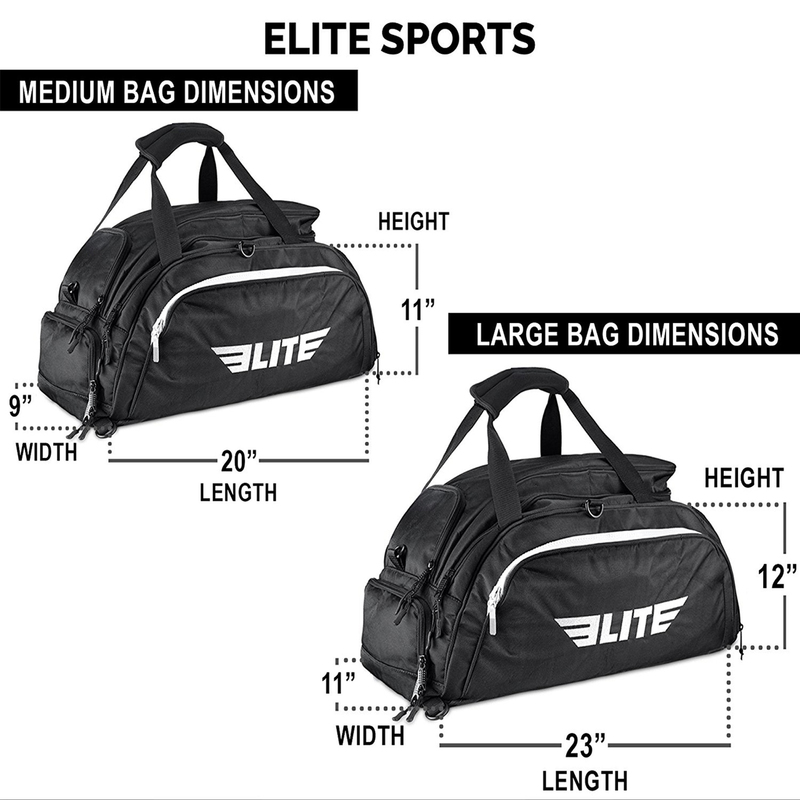 24' wide x 11.5 wide x 10 high.The bag is spacious enough to carry multiple gis, work out equipment, striking gear, a change of clothes, toiletries, shoes etc. Options & Material: This bag comes in two sizes- Medium & Large. I personally prefer the large. While the medium is more compact, the large doesn't feel too bulky and can even adapt to fit carry on size. The material is a heavy duty cordura and denier polyester. 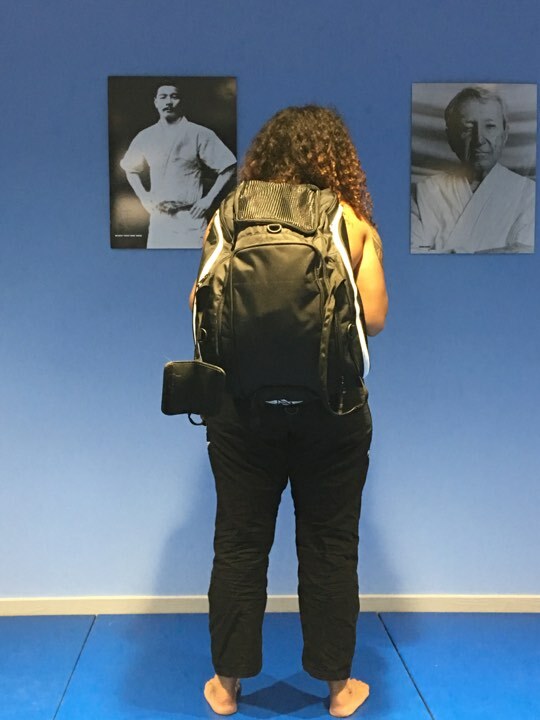 Features: The bag features a wet pocket, air vent for sweaty gear, multiple internal pockets, mouth guard compartment and heavy duty adjustable straps. 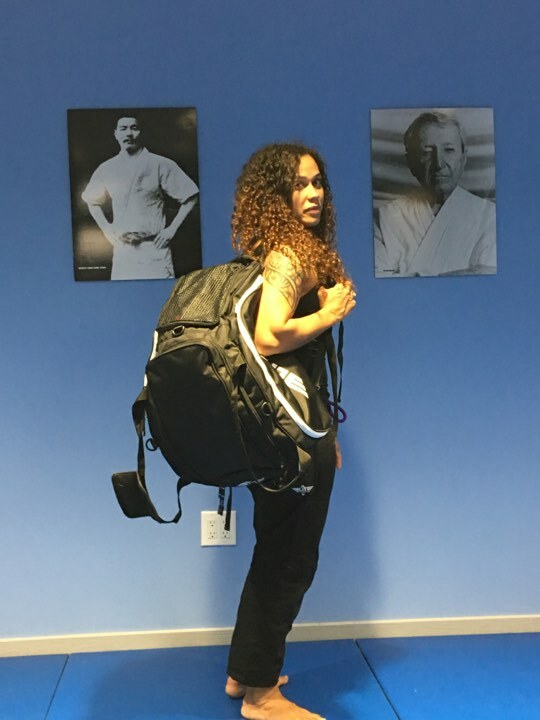 Pros: The bag is spacious and definitely can fit gear for all of the classes you might take in a day/evening. 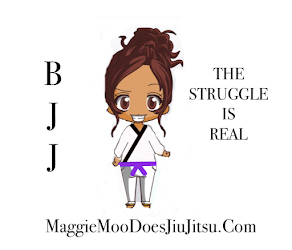 Cons: The straps (while comfortable) aren't as well made as they could be. The edges fray relatively easily, but it hasn't impacted the overall structure of the bag and is still simple to carry. Overall, I like this bag. I have used it regularly for months, for both tournaments and weekend trips.Want to purchase? 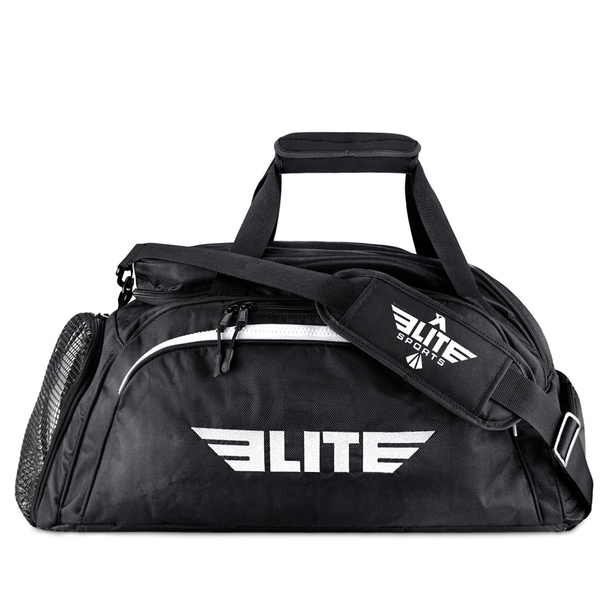 You can buy the elite duffel bag here.